"Sometimes You Just Need To Distance Yourself From People. If They Care, They'll Notice. If The Don't, You Know Where You Stand"
Whenever I'm stumped on what to wear, I always find myself gravitating towards this look. A navy and white striped shirt (it's summer, time to break out your nautical clothes!) tucked into a basic pair of jeans shorts. To keep my feet happy and comfortable all day, my white converse are my best friend! And in case I didn't have time to put on eye makeup that day, aviators do the trick in concealing that. This is the perfect preppy, yet comfortable look for any summer occasion whether it be watching fireworks or having a picnic at the beach. Just add a red lip, and you're all set for the 4th of July! This looks like such a cute outfit for a picnic! I really like the outfit you chose for the barbeque, casual and cute! Thank you so much; glad you enjoyed! 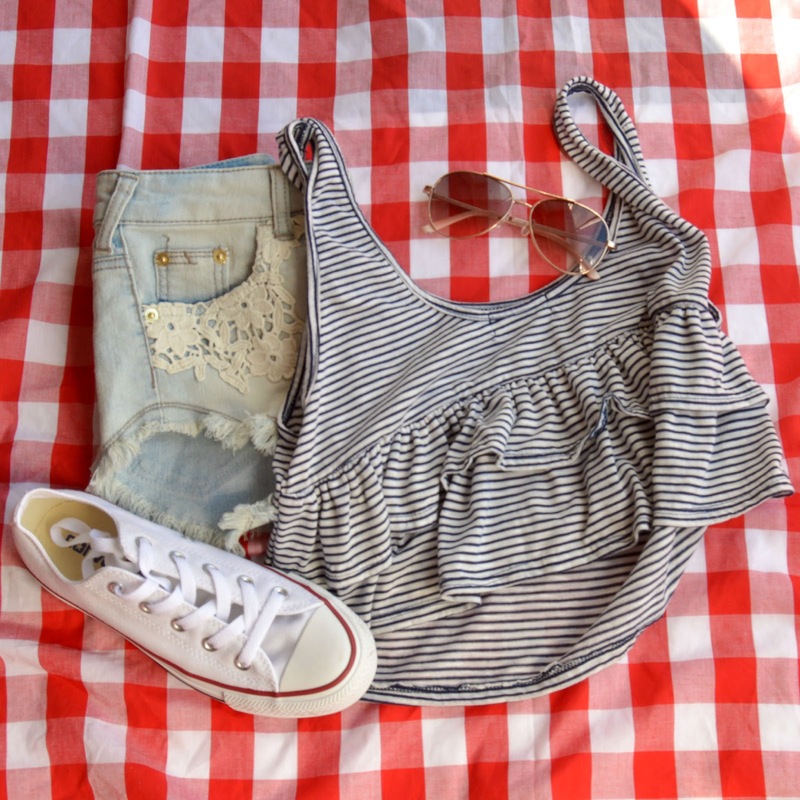 I would definitely wear that outfit to a picnic!